Posted by Trevor Taylor on February 1, 2013 at 3:42am in Earth Communities - We Care.. 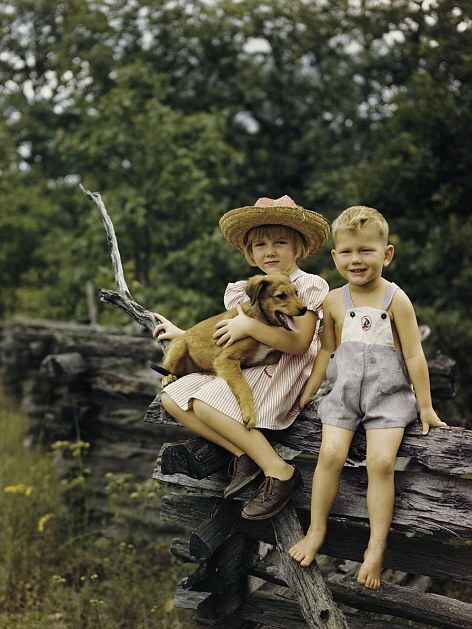 These fascinating pictures of American and Canadian youngsters in the first half of the 20th century capture an almost forgotten age of innocence and the simplest of pleasures. 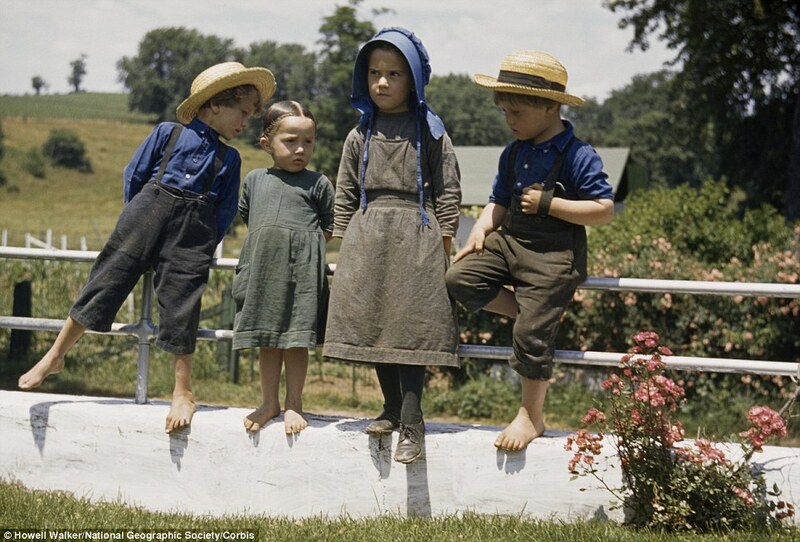 The photographs, from the archives of the National Geographic magazine, show children from around two or three up until their early teens and give a fascinating glimpse into what life was like for youngsters without the all trappings of the modern world which we now take so much for granted. 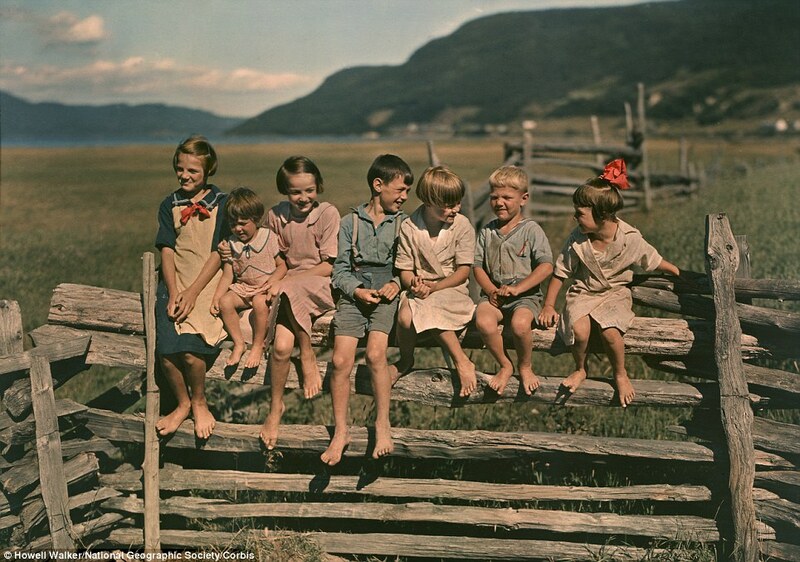 The children are pictured huddled together in the family homestead or talking a jolly stroll in the countryside. 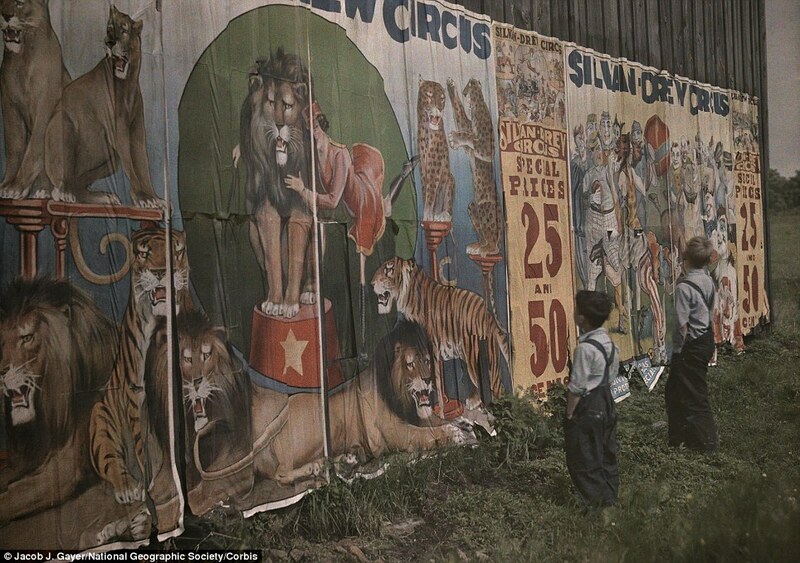 Two young boys are seen staring in awe at a billboard announcing the circus is in town wondering if they will be lucky enough to go along. 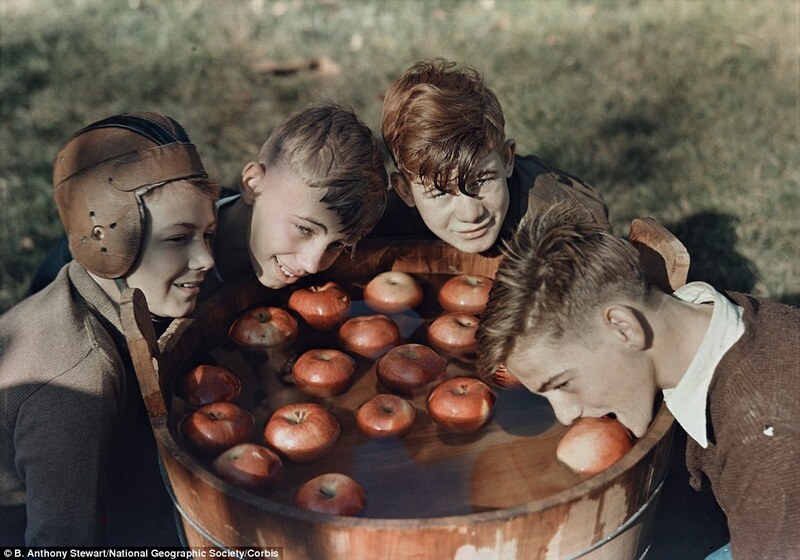 Another shot, dating from 1936, shows four boys enjoying a game of apple bobbing - well this was a time when an Xbox was some sort of mystery package and social networking meant a chat with your neighbour over a rickety wooden fence. But the smiling faces and apparent joy betray the grim reality for many youngsters who lived during this era - a time of catastrophic world war, massive social change and incredible technological development. 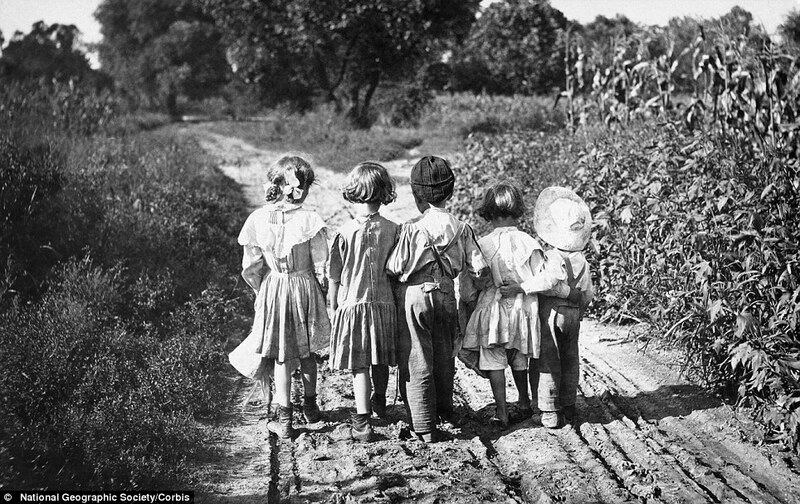 For hundreds of thousands of children life was incredibly tough - instead of an education they would be forced to work from an early age fuelling the nation's Industrial revolution. 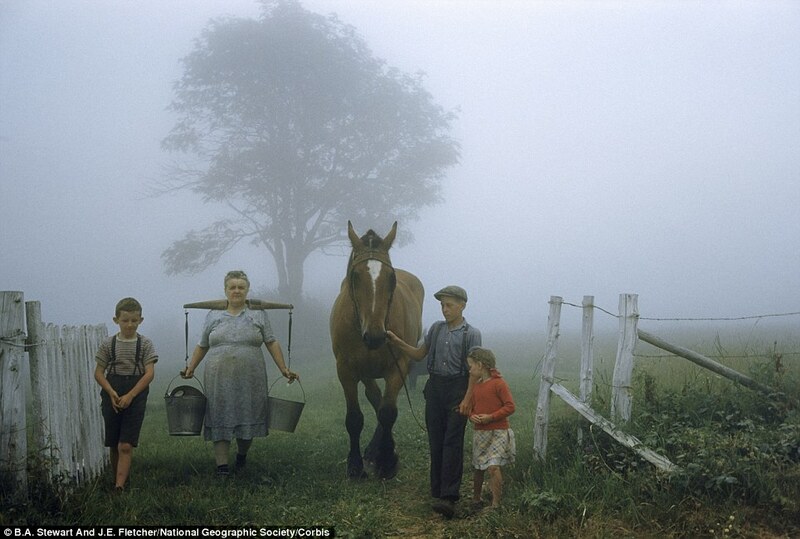 Others would spend long hours toiling in the fields of family farms or working in factories. Children as young as five would be recruited as messengers, newsboys, peddlers and in various other menial jobs. Employers seized on Children who they regarded as cheap labor - their small size meant they were capable of wriggling into through narrow parts of mechanical machines where adults could not go. 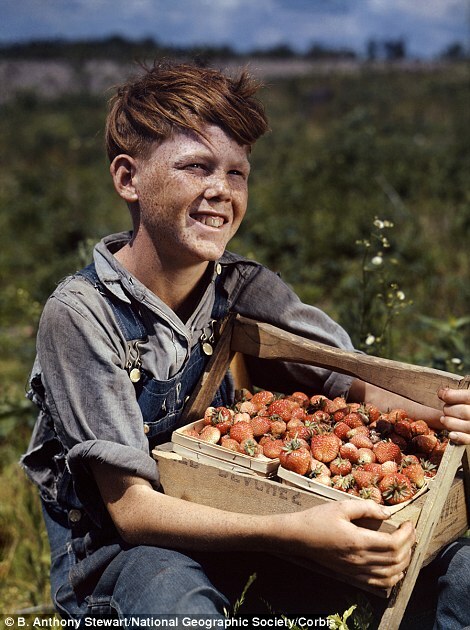 Incredibly it took until the Great Depression to end child labor, for adults had become so desperate for jobs that they would work for the same wage as children and in 1938, President Franklin D. Roosevelt signed the Fair Labor Standards Act, which finally placed limits on child labor.